LEGO Elves Rosalyn's Healing Hideout Building Set - Best Price! Home Toys & Games Building Toys LEGO Elves Rosalyn’s Healing Hideout Building Set – Best Price! 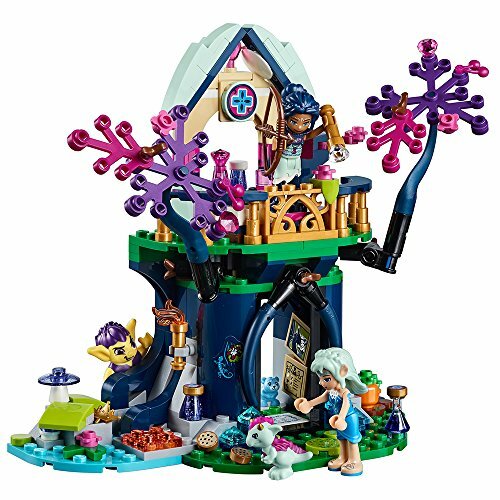 LEGO Elves Rosalyn’s Healing Hideout Building Set – Best Price! This LEGO Elves Building Set is a hot deal on Amazon! Hurry and get the LEGO Elves Rosalyn’s Healing Hideout 41187 Building Kit (460 Piece) today for $49.99 NOW only $32.99 from Amazon! This is the lowest price ever on Amazon. Limit 3. Check out all of the Amazon deals here! Buy the LEGO Elves Rosalyn’s Healing Hideout 41187 Building Kit (460 Piece) from Amazon. Previous articleLEGO City Great Vehicles Pizza Van Building Set – BEST Price!